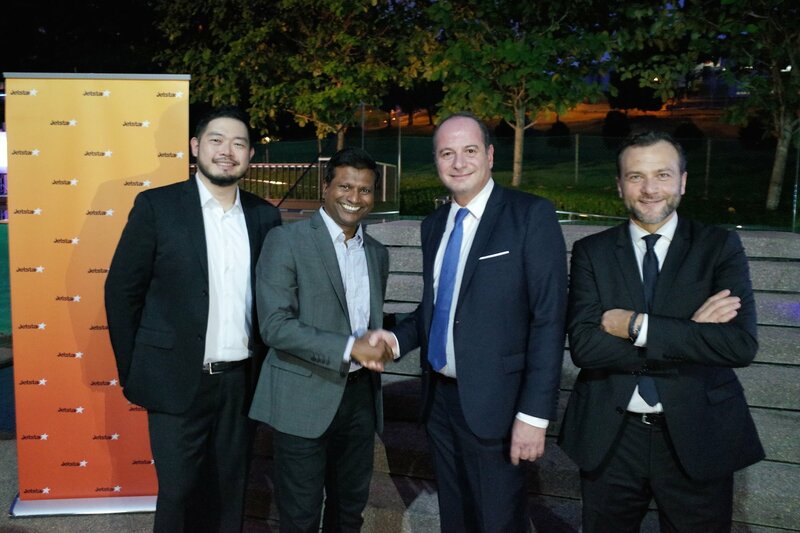 Barathan Pasupathi, Jetstar Asia CEO, Francis Loi, Jetstar Asia Head of Commercial and Bertrand Schmoll, ECS Group CEO and Adrien Thominet, ECS Group COO were in Singapore last week to introduce the new partnership and services to the air cargo industry. Customers will be able to find the products and services offered including the network of countries Jetstar operates in Asia Pacific. The site also includes the flight schedule, frequencies and timings of services. ECS Group Asia was recently appointed the General Sales Agency for the airline’s freight business at Singapore Changi Airport and its 25 ports across the network.